Summary: Distracted driving has been an issue on Missouri roadways for decades, long before smartphones became popular. With the rise in the popularity of smartphones and text messaging, distracted driving car accidents are often talked about in the news. Yet distracted driving has been an issue on Missouri roadways for decades, long before we ever imagined having a phone that was so smart. If you have been hurt in a car crash because the other driver was simply not paying attention, a St. Louis car accident attorney can help you build a case for distracted driving. Visual distraction – The driver’s eyes are taken off of the road. Cognitive distraction – The driver’s attention is not on the road. Manual distraction – The hands of the driver are not on the wheel of the vehicle while it is in motion. If you think about distractions such as text messaging while driving, this involves all three of the defined forms. Most significant distractions do involve more than just one of the categories listed above. Experts look at the distraction safety problem from two different vantages. One is the actual amount of attention demanded by the task and the other is with the frequency it is performed. Again, text messaging is most dangerous, as it involves all of the types of distractions and is typically engaged in multiple times in order to finish a conversation. Text messaging has become one of the leading causes of distracted driving accidents in Missouri and across the nation, but it is certainly not the only one. Electronic devices in general are on the rise as well, giving a driver ample gadgets to play with while they should be focused on the road. GPS systems, iPods, and even the basic car stereo are still causing drivers to take their eyes off of the road, potentially leading to a car accident. An accident investigation at the scene is not always enough to pinpoint the cause. A car crash attorney can conduct their own private investigation into an accident, often uncovering information not found in the police report. 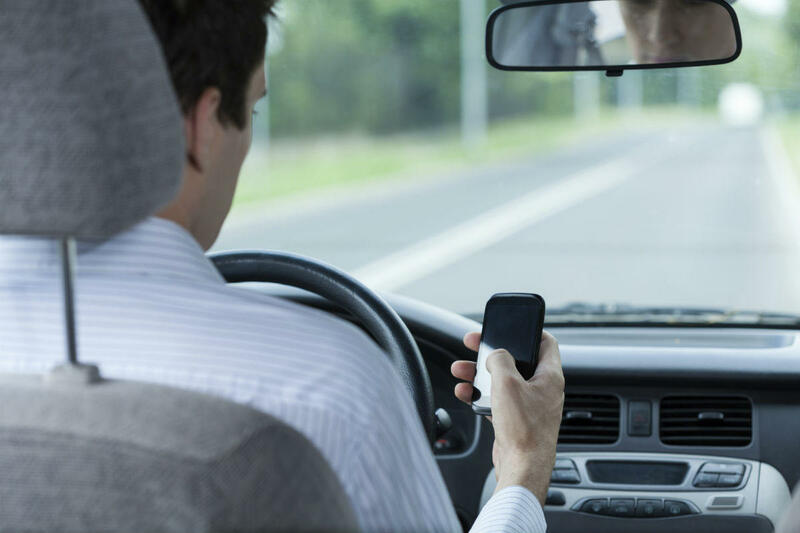 Proof that the other driver was fiddling with a device while driving will help strengthen your car accident claim. Distracted driving car accidents have been steadily rising over the last ten years, as we are becoming more reliant on our electronic devices during the day. In order to avoid being hurt and endangering the safety of other drivers, it is best to avoid using these devices while driving. If you have been injured in a distracted driver crash, speak with a St. Louis automobile accident attorney from The Hoffmann Law Firm, L.L.C. as soon as possible. We can assist you in proving the cause of the accident and receiving compensation for your injuries and other financial damages. Call us at (314) 361-4242 for a free consultation.